Bank Audi is seriously looking to relocate its headquarters outside Lebanon according to a banking source. Abu Dhabi is at the top of its list. The bank is in advanced negotiations with regulatory authorities in the UAE. Dubai is its second choice. But Freddie Baz, the bank’s chief strategist and Vice-chairman, said in response to a question by BusinessNews that the matter is still a conceptual exercise. “No decision has been made by Bank Audi,” he said. “Bank Audi regularly considers strategic options and developments to enhance shareholder value and benefit its other constituencies, including its depositors. If and when a decision is made, in keeping with its disclosure policy ‎and applicable legal requirements, Bank Audi will make an announcement. Until that time, any discussion is pure speculation,” he said. The bank, which has almost half of its activity outside Lebanon, is feeling constrained by the ceiling of Sovereign risk, which it cannot pierce and needs to expand further its base abroad. The credit rating of Bank Audi is limited by the Sovereign risk of the State. The bank has made important forays in Turkey, in addition to other countries. It continuously needs to increase its capital to finance growth. Talks with Abu Dhabi include the possibility of a 25 percent capital participation, according to another source which declined to go on record. If successful, almost the entire management team at the bank’s headquarters would have to relocate to the UAE capital. “It would be a great and clever idea,” said Jean Riachi, Chairman of FFA Private Bank. “It has many advantages, with no downside,” he said. Riachi said that it has become a handicap for banks to be Lebanese in international dealings because of a negative perception. “The perception of risk is higher than what it should be, but it is what it is,” he said. The rating of Bank Audi would not pierce the Lebanon rating anytime soon. “The weight of Lebanon in the balance sheet is still too high to affect ratings,” said Riachi. “It is a long process, so the sooner it starts, the better,” he said. An improvement in credit rating would decrease the cost of borrowing and allows enlarging the pool of shareholders and listing exchanges. 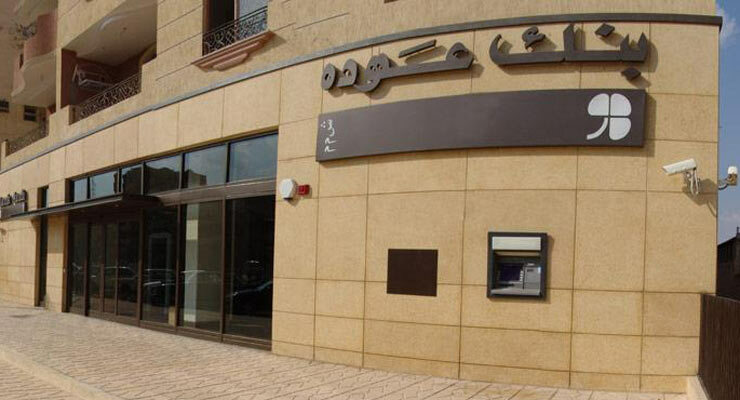 Bank Audi is looking to position itself as a regional, and perhaps, an international bank, in the same category of the much larger Jordan-based Arab Bank. Last year, the bank’s entities outside the country contributed 44 percent of $403 million to its net profits. The bank had assets of $42.72 billion at the end of December 2015 and $52.1 billion, in terms of fiduciary deposits, security accounts and assets under management. The contribution of entities outside Lebanon to consolidated assets was 48.6 percent. The share of assets booked in investment grade countries reached 33 percent. Consolidated shareholders’ equity reached $3.29 billion. In case of moving its headquarters, Bank Audi would still be committed to the local market. “As the largest banking group in Lebanon, Bank Audi is keen to continuously strengthen its leadership in Lebanon which is at the core of its success,” said Baz.